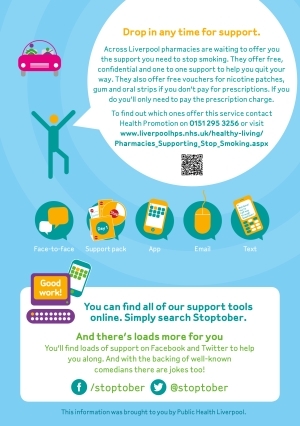 Stoptober is a national stop smoking campaign run by Public Health England. 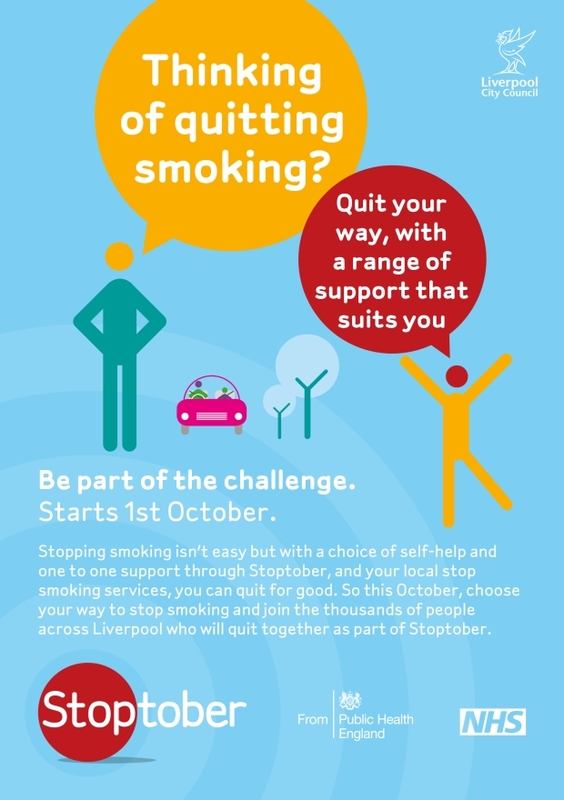 We were approached by the Public Health team at Liverpool City Council, to create a campaign for them, using elements of the national brand, promoting the benefits of stopping smoking and introducing the public to the new legislation on smoking in cars. 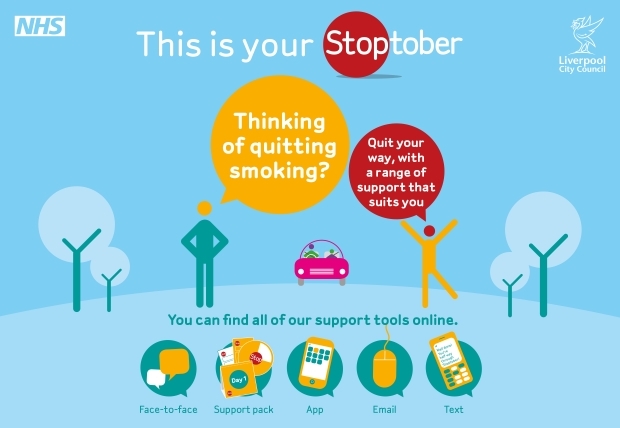 “The most recent Stoptober campaign, which Splinter worked on, saw an increase of 66% sign ups to stop smoking support compared to the previous year. 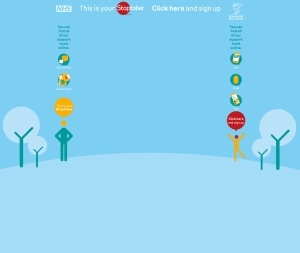 And amongst the 8 core cities, Liverpool came out to top for the rate per 1,000 sign-ups for smokers aged 18+ with Public Health England describing the work we did in Liverpool as ‘Gold Standard’. The creative splinter produced was used heavily throughout the campaign period.’"
We created campaign leaflets, roller banners, web banners, Liverpool Echo homepage "takeover" page and newspaper adverts in a tight turn around time to support the Stoptober team.